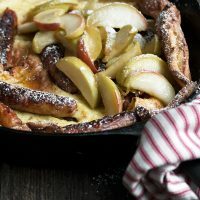 Perfect for breakfast or brunch, this Sausage and Apple Dutch Baby combines the sweet and savoury to perfection! 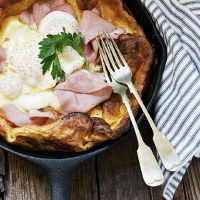 I am a big fan of the humble Dutch baby, whether sweet or savoury. 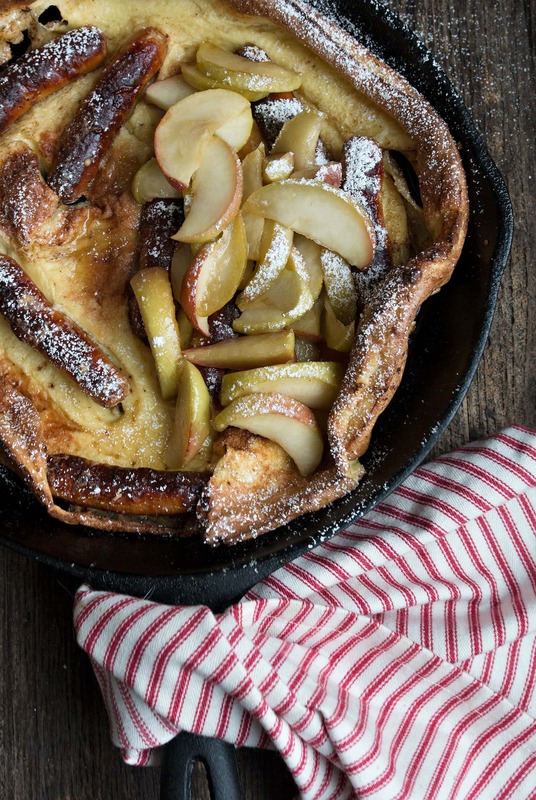 This Sausage and Apple Dutch Baby probably falls somewhere in the middle. Sweet, tender apples, combine with savoury pork sausage, to create a dish that is at home any time of day. 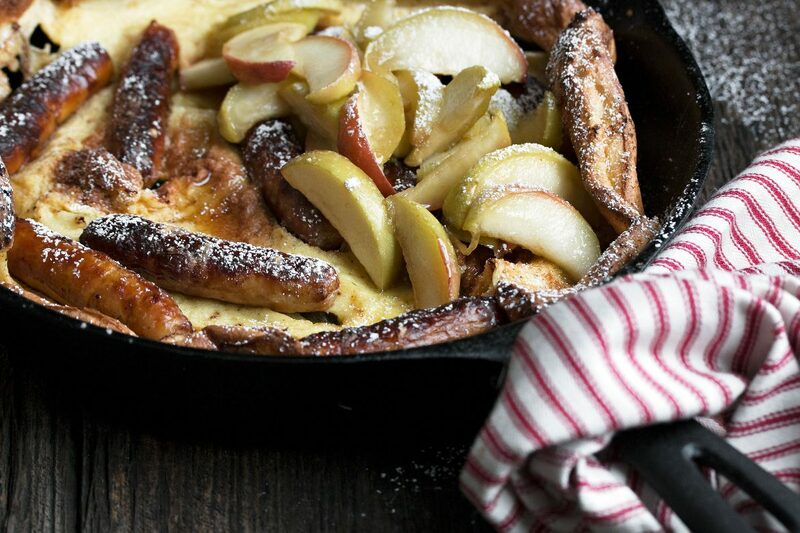 The apple topping makes it’s own sweet, brown sugar and maple sauce, to combine with the golden sausages that bake right up with the pancake. Add in the just tender apples, and it is one truly delicious bite! Since this one comes together quickly and easily (especially if you pre-cook the sausages ahead! ), it’s perfect for a leisurely holiday breakfast or brunch. If pre-cooked mini pork sausages exist where you live, you can save yourself the step of pre-cooking them and just start with warming them up in the skillet, instead. I don’t really think it matters a whole lot which kind of apple you start with. I used McIntosh, which I thought was perfect – neither too sweet or too tart. Unfortunately, Dutch babies don’t keep or re-heat well, so enjoy while it’s fresh and warm. As noted above, you can pre-cook and refrigerate the sausages ahead. You could also mix up the batter and have it ready in the fridge, if you’d like a quick and easy morning. 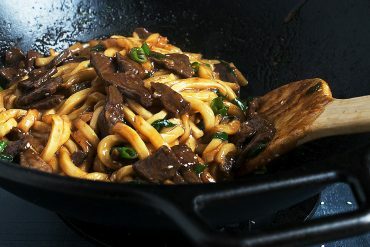 An easy and delicious dish, that's great for breakfast or brunch, or for "breakfast for dinner". 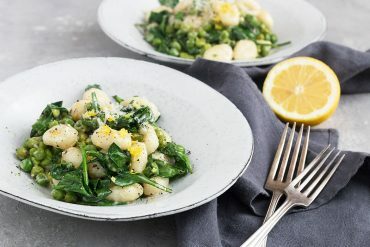 It's a wonderful sweet meets savoury dish! Pre-cook the Sausages: Preheat oven to 350F. Place a rack on top of a baking sheet. Place sausages on rack, leaving space between each sausage. Bake in preheated oven for 20-25 minutes, or until they are cooked through. Remove from oven and increase oven temperature to 425F. Meanwhile, in a medium bowl, whisk the eggs together. Add the rest of the ingredients and whisk well until frothy. Set aside. 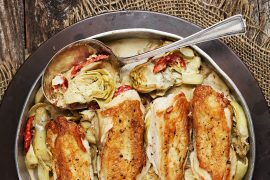 In an oven-proof skillet on the stove-top, melt butter oven medium heat. Add sausages and cook, stirring regularly, until golden brown. Give batter a quick whisk, then pour oven sausages in pan. Quickly arrange sausages so they are scattered around the pan and not all in one spot. Place pan in pre-heated 425F oven and bake for about 15 minutes, or until puffy and deep golden around the edges. While the Dutch baby is baking, heat 2 Tbsp butter in a skillet or saucepan over medium heat. Add the prepared apple slices and cook, stirring, just until they are tender-crisp. *Don't over-cook, or they will fall apart and/or be mushy. Cook them just until tender, but still holding their shape. Add brown sugar and maple syrup to the skillet and cook another couple of minutes. Turn off heat under pan. When Dutch baby is cooked, remove from oven and allow to stand a couple of minutes, then pour the apples with any liquid in the pan over-top of the Dutch baby. 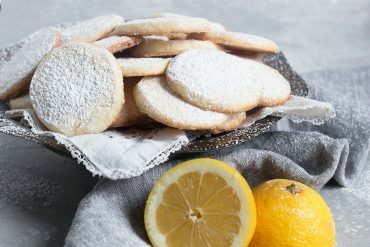 Serve immediately, garnished with a bit of icing sugar, if you like. More Dutch Baby Goodness from Seasons and Suppers! Easy and delicious, a great brunch dish! 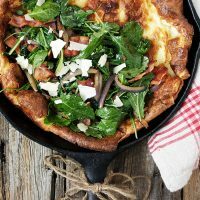 A classic savoury Dutch baby, perfect for any meal. It's hard to beat the delicious combination of tomatoes and goat cheese! A delicious sweet Dutch baby, with caramelized cranberries and clementine orange syrup. This one is great as a dessert or as a sweet, breakfast or brunch pancake. Thanks for sharing! Made this Sausage and Apple Dutch Baby this morning for my son’s 27th birthday. This was our first time to enjoy a Dutch Baby. 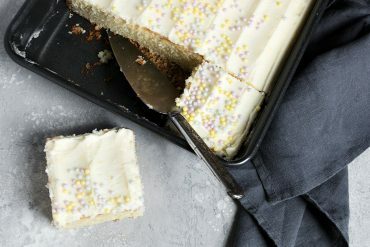 Would never have tried, if not for your beautiful website and trustworthy recipes. Everyone was super impressed. Super simple to mix and assemble. 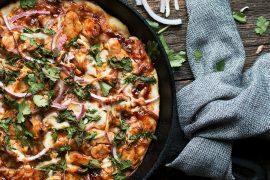 Oh my gosh, Jennifer, I’m drooling over this recipe! Apples and pork sausages? Are you kidding me? This is the dish of my dreams. And once again I was wishing I was your neighbour! Thanks so much, Robyn and I wish I could have shared this one with you, because it was delicious! I was wondering what to make for my New Year’s Eve brunch, and here it is! 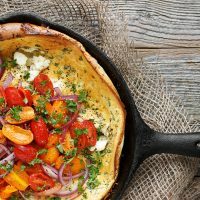 Did you use a 10 pr 12 inch skillet? Thanks very much! 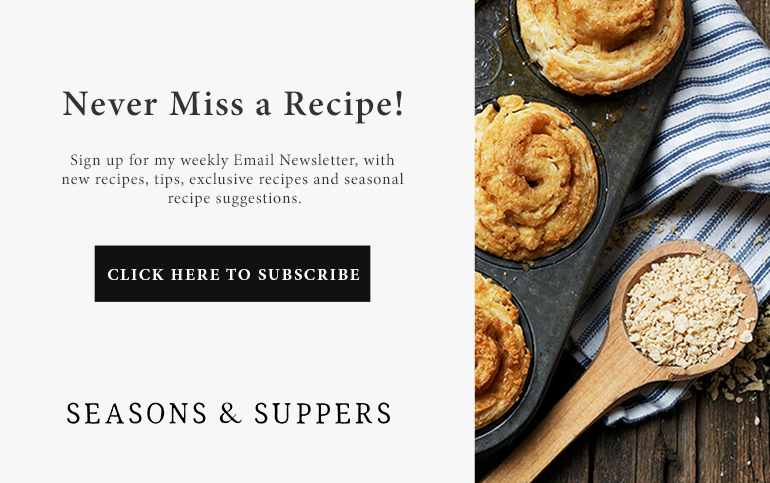 Sausage and apples are one of my favorite partnerships to throw into skillets so of course I am all for this recipe! The coziness of this dutch baby recipe (well, its outcome really) is unmatched:) Pinned! Dutch babies are the best! I love either a sweet or savory variety, so I LOVE that you have BOTH going on here!! This is just gorgeous and the perfect breakfast or dessert! Cheers, friend! This is gorgeous! 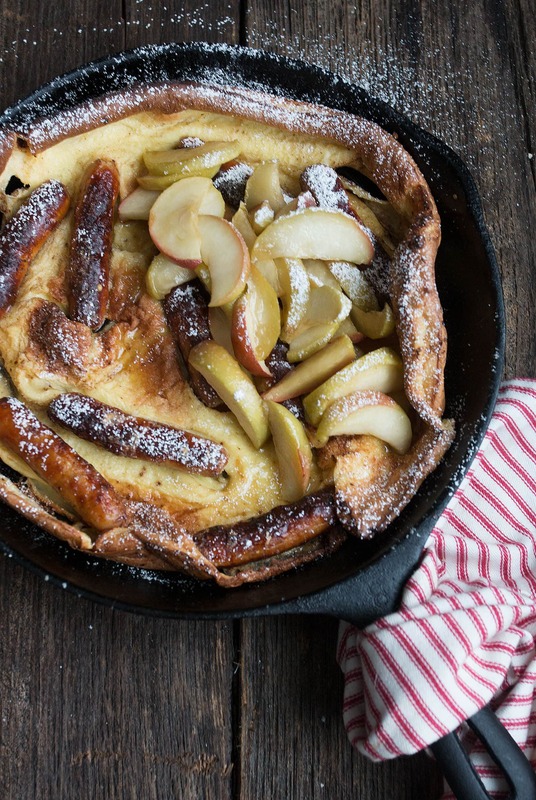 Im working on a Dutch Baby for after the holidays… I love your sweet and savory take! Have a great week, my friend! Thanks Annie and you, too! How unique and fabulous!!! Thank you! 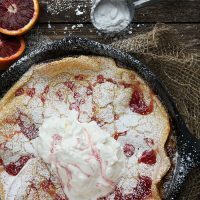 I love love love this, I’m not much for super sweet Dutch babies, but this one is calling my name! You know I love a good Dutch baby! 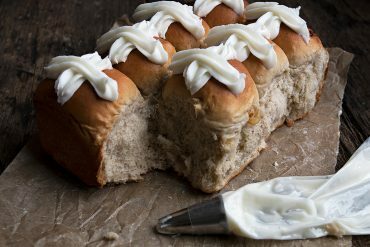 This is perfect for Christmas morning – a little savory and a little sweet. Such a great idea and beautiful combination of flavors. Pinning! 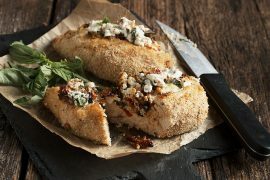 Love the sweet and savory combination Jennifer! Dutch babies are my favorite! I’ll need to whip this up over the holiday vacation!